We take education very seriously at the Colne Valley Postal History Museum. We have a qualified teacher on our staff and we are able to work with schools and colleges in a number of ways. The location of the Museum, in a suburban garden, means that whilst we can accept pre-arranged group visits, we must limit the number of participants to twenty at one time for health and safety reasons. Students can experience the collection first hand and can handle most of the exhibits on site. We also undertake to bring artefacts in to school to support learning as part of the National Curriculum. Our collection of Victorian post boxes from 1859 to 1901 illustrates Victorian engineering and design during the period and is ideal for KS3 studies. We also have genuine and facsimile documents to support Victorian Studies. The design, construction and use of the British post box itself is an ideal topic for the study of Resistent Materials, and several sets of materials are available to support this. 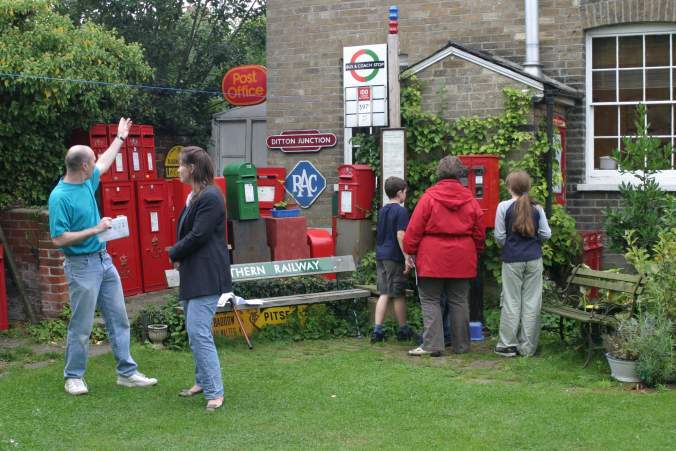 Scholars wishing to research the history of the wayside letter box are most welcome to visit and discuss their work with our knowledgeable technical team. We can also give guidance on restoration and care of historic objects. Finally, our Curator is available on an ad hoc basis to speak about the first 150 years of British Post Box Design and Use. 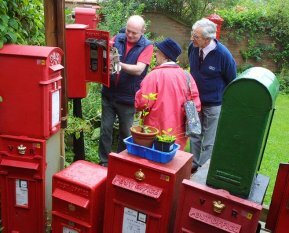 This is a 1 hour PowerPoint presentation which outlines the fascinating history of the Post Box in Britain from 1853 to the present era. It can be delivered in the weekday evenings within a 50 mile radius of Colchester. There is a small fixed fee plus mileage expenses charged for this, please enquire with the curator for details.